Almost one month after gathering at S3’s corporate headquarters in Detroit, members of the elite Defenders of the Green sat down with the Communications Team to discuss their success, the steps they took to achieve it and what it’s like to be a leader in the field of recruiting. This weeks’ interview is with Wendy Long, a senior technical recruiter with Team Motown who has been with S3 for 12 years. Q: What’s the secret to your success and what sets you apart? Wendy: Good communication with my team and my consultants. Also, being in close touch with everything, watching all of the details and not letting anything slip. Q: Can you offer one tip to your fellow S3ers? Wendy: Stay very close to your team, but also stay close to others in other branches. For a new recruiter, I always tell them that their first priority is to cover their local market and have solid candidates submitted. But, also stay in touch with out of branch marketers because you never know when things are going to slow down temporarily in your market and you always want to have a back-up plan. And you always want to know where the good business is rather than waiting for things to slow down and scramble. While it’s rare in Detroit because our team is always busy, if things ever do slow down and it’s always for a very short time, I always have a couple of people that I can call right away. Sometimes you have to seek it out because you can’t ever get comfortable in this business. Q: What gives you the most satisfaction in your job? Wendy: Having candidates and consultants tell me “thank you” because we we’re able to find them that perfect position. A lot times they have already dealt with other companies and other recruiters and may have been trying to get into a certain company for years and I was able to get them into their dream company or dream job. That is always satisfying. Q: Name a challenge you faced and how did you overcome it? Wendy: This kind of goes back to a previous question where I talked about timing. It’s always key with this business. I was challenged with finding the right candidate at the right time. It’s matching that candidate’s pace with the customer’s pace. Sometimes a candidate will want to move a lot faster than a customer wants to move. So, it’s about matching up timing and making sure that you pre-close candidates along the way as you’re talking with them and keep them engaged and interested. While at the same time, working with marketers to make sure the manager is interested in moving at the same pace and ready to move forward at the same pace. Q: What’s your next big goal? Wendy: To make Club! That’s always my goal every year! Q: What does Green mean to you? Wendy: Green to me is bringing the entire company together. It’s a feeling. It’s an atmosphere. It’s a little bit different for me because I work remote. So, I don’t have to necessarily have to wear green every Wednesday, but it’s not just the clothes we wear. It’s the comradery with the rest of the company that we might not see on a daily basis, but we’re still working under the same umbrella. That’s what it means to me. Please look forward to next week’s profile of Molly Celestini, technical recruiter, Team Motown about her success as a recruiter and being a member of the Defenders of the Green. Our first interview was with Cathy Grant, a senior technical recruiter with Team West Coast who has been with S3 for 10 years. 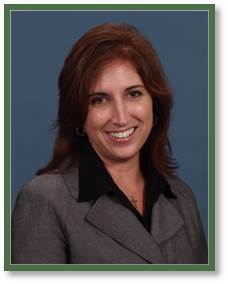 Learn more about Cathy below! Cathy: I would probably say persistence. Typically, I work an order until it’s filled, not just until it’s covered. Sometimes you can work an order until it’s covered; meaning you have 4 or 5 candidates that you feel good about. Then there is ensuring that in the event a candidate is rejected, I work until the position is the filled. For me, it’s not just a matter of having candidates, it’s about filling the role. I don’t know if that really sets me apart. I really just think it’s my work ethic and that has paid off. Cathy: Time management is key. Try to structure your day as tightly as possible and stay on course with that schedule the next day. It’s important to not to get distracted by too much outside of what you’re trying accomplish. Cathy: Winning a position for the candidate! Cathy: One of the most challenging situations I’ve faced was probably in my first and second years here. At that time, I was on Team Atlanta and there really was not a lot of business. I had to figure out new ways to find and fill positions. As a result, I looked to fill roles in other markets and subsequently, most of my closes and wins were out of branch. That was a big challenge because I spent that time just working out of branch and that was difficult because of time zones and having to work out of market. That experience taught me how to acclimate anywhere quickly because one day I was doing something in Boston and the next day I was working something in Texas. Having to work all of those markets and still get the hires was very challenging. Cathy: To make Club this year for sure! And to consistently make Club every year. In addition to Club, there are five account managers that we’re supporting and I would like to have a steady flow of hires with each of them. Cathy: S3 and how good it has been to me! I’m very proud of that! I’m happy when I see it everywhere and I just think it’s an awesome company to work for. Green also means go. There’s nothing stopping you from doing well while representing S3 in the right way. 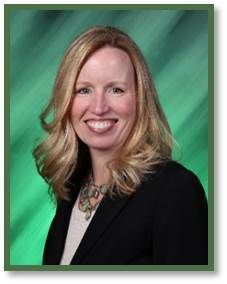 Please look forward to next week’s profile of Wendy Long, senior technical recruiter, Team Motown about her success as a recruiter and being a member of the Defenders of the Green. 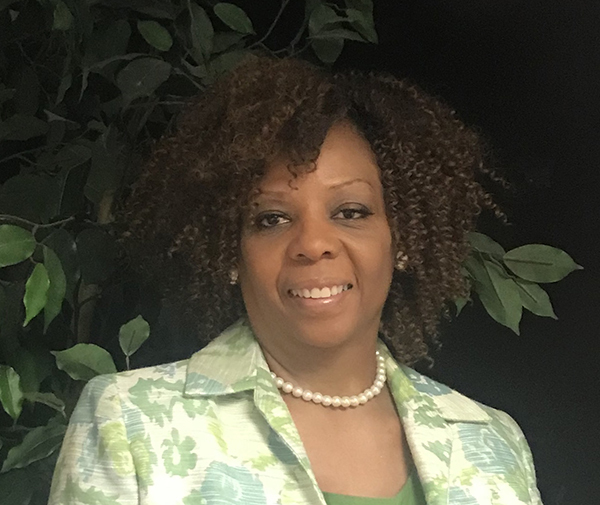 S3er and passionate member of Dress for Success New Orleans, Cheryl Butler, S3 Branch Administrator, Team New Orleans will represent DFSNO as a delegate for the city of New Orleans at the 2018 Worldwide Success Summit in June in Miami. 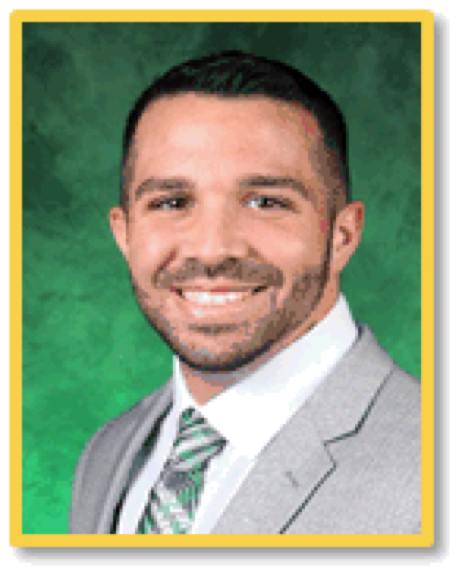 “The opportunity to represent DFSNO on the world stage is such a huge honor. I’m excited to represent the countless hardworking women who strive towards excellence every single day,” said Cheryl Butler, S3 Branch Administrator, Team New Orleans. The honor comes just one year after Butler was named as the organizations’ “Client of the Year” for her success since joining the organization. An affiliate of Dress for Success Worldwide, DFSNO is an independent nonprofit organization that partners with nonprofit organizations and government agencies that refer women to DFSNO when they have secured a job interview and need the professional clothing necessary for them. More than an opportunity to get suited, the organization provides additional support in a many other ways that include interview and employment coaching, a career center for job seekers, the Professional Women’s Group and Alumni Professional Women’s Group and the Women 2 Women Mentoring Program. “I decided there was no reason to return to Chicago and so I stayed in New Orleans where my father lived,” Butler revealed. While in New Orleans, she began working with Job1 Business and Career Solutions, an organization that provides employment and training services to provide employers with a skilled workforce and to link job seekers to employment that leads to self-sufficiency. With the help of Job1, Cheryl landed several job interviews but needed clothing to wear to them. She was then connected with Dress for Success to be suited. Truly the epitome of changing your station life, Butler went on to have a successful interview at S3 and got the job! Dress for Success New Orleans will host the 9th annual Suits & Salads Luncheon on May 11 at The Hyatt Regency Hotel New Orleans. The event will bring together more than 450 local men and women to share client testimonials, panel discussion, silent auction, fashion show, champagne toast and give-a-ways, all to support the mission of Dress for Success New Orleans which is to empower women to achieve economic independence by providing professional attire, a network of support and development tools to help them thrive in work and in life. As a result of Butler’s success and DFSNO’s great community work, S3 has served as a sponsor for the luncheon for the past two years. For more information about Dress for Success New Orleans, call (504) 891-4337 or visit neworleans.dressforsuccess.org. she is fully developed at 3 years old. Born on site at the New Orleans Police Department’s Mounted Unit stable, Detroit Lady came into the world to the open arms of NOPD officers anxiously awaiting her arrival. A gorgeous chestnut color with a sleek shape to match, Detroit Lady is not shy and reportedly, loves being photographed. By immediately introducing her to human contact, sounds, voices and the human smell, Talia explained, it prepares Detroit Lady for the kind of experiences she will have throughout her career as an NOPD Mounted Division equine officer. 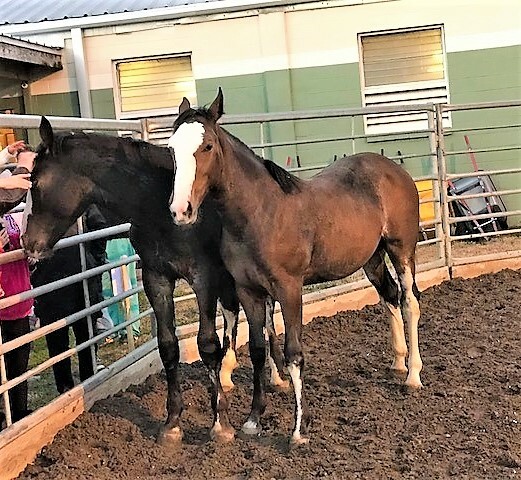 Recent changes in sourcing new equines for the department has made partnerships like the one between S3 and NOPD more important than ever before. For more information about the New Orleans Police Department’s Mounted Unit, visit nopjf.org/adopt-a-horse. DETROIT, March 22, 2018 /PRNewswire/ — Strategic Staffing Solutions has been committed to the cause of animal welfare since it was founded in 1990. Last week at S3‘s 25th annual Club closing dinner, the company’s annual trip to Hawaii for high performing employees, Cindy Pasky, S3 President and CEO, announced that the company will be making a donation to the Hawaii Island Humane Society in honor of the extensive work that S3 Chairman Paul Huxleyhas done over the years for the Michigan Humane Society. The donation will be used to renovate the shelters’ new 12-acre facility allowing HIHS to triple its current capacity at the older Kona shelter from 40 dogs and 30 cats to 125 dogs and 100 cats, giving the islands’ animals a better chance to thrive. “We’re about a generation behind the Continental United States as it relates to our animal welfare needs. We are working as hard as we can to fulfill our mission to eliminate pet overpopulation and we are making headways, but it’s a long education process. We’re in the midst of a really big $10 million capital campaign and because of Cindy and Paul’s love of animals, S3 decided to donate to us,” said Donna Whitaker, Executive Director, Hawaii Island Humane Society. Pasky wanted to commemorate the 25th anniversary of S3 Club with something meaningful. As part of HIHS’ capital campaign, local artist Kathleen Dunphy will paint canine portraits for anyone who wants to see their own dog on canvas. Each portrait will be displayed at both of the organizations’ Central Bark Dog Parks, an outdoor space for the shelters’ dogs. Portrait donations are $500, $1,000 or $2,000 and a portion of the proceeds will be used to maintain both of HIHS’ parks. To commemorate S3 and Cindy and Paul’s dedication to animal welfare, Dunphy will paint a portrait of their dogs to be displayed at the Bark Park located at HIHS’ new shelter. 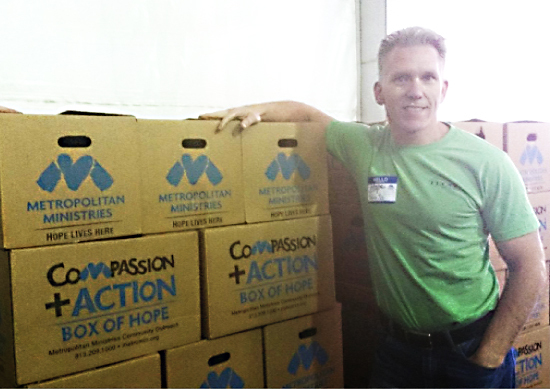 Since 1990, S3 has donated more than $17 million to charities and community enrichment projects. Other beneficiaries of S3‘s long-term support for animal welfare include the Michigan Humane Society, the Detroit Police Department’s Mounted Division, the ASPCA and the Detroit Zoological Society. Globally, S3 team members contribute countless hours and resources to supporting organizations that promote animal welfare, support homeless populations, support the arts, and contribute to economic and community development. Strategic Staffing Solutions (S3) is an international, woman-owned, over $320 million IT and business services corporation based in Detroit. With a composite average annual growth rate of 19%, S3 is fiscally sound and debt free. S3has had $3.3 Billion in sales since its inception with $1.2 billion of those sales occurring in the last 5 years. It is ranked 16th among the largest staffing firms in the US by Staffing Industry Report and is one of two companies nationally certified as a Charter Partner with Staffing Industry Analysts. S3 is also ranked as the sixth largest diversity staffing firm in the US by Staffing Industry Analysts and one of the top 25 among woman-owned businesses in the nation by Women’s Enterprise USA Magazine. The mission of Hawaii Island Humane Society is to prevent cruelty to animals, eliminate pet overpopulation, and enhance the bond between humans and animals. Our organization, established in 1965, is serving the Big Island community with three shelters island wide. Our services include: Shelter for homeless, stray, injured, lost and abandoned animals, animal adoptions, Humane Education Programs for children and administration and promotion of the Spay/Neuter Community Assistance Program. The Hawaii Island Humane Society is the only open-admittance shelter on the Big Island with no time limits. Nearly 13,000 animals come through our shelter doors every year. Many are infirm, ill-treated, injured, too young or elderly. Some have never known the security of a home, while others have lost the only home they’ve ever known. We accept any animal, regardless of age, species, condition, circumstance or behavioral issues at all three shelters island wide. For more information about the Hawaii Island Humane Society, visit www.hihs.org. At S3, we love St. Patrick’s Day for the holiday’s obvious connection to GREEN! As a global company, celebrating a holiday that is loved in so many communities where we live, work and serve, S3 employees have traditionally celebrated with a St. Patrick’s Day lunch for many years. This special day creates the opportunity to celebrate and connect with the S3 family, our consultants and our customers… In green fashion, of course. 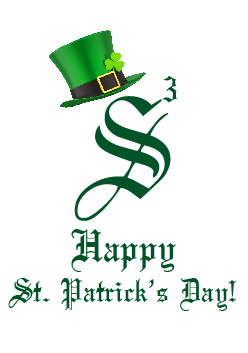 From the S3 family, Happy St. Patrick’s Day! 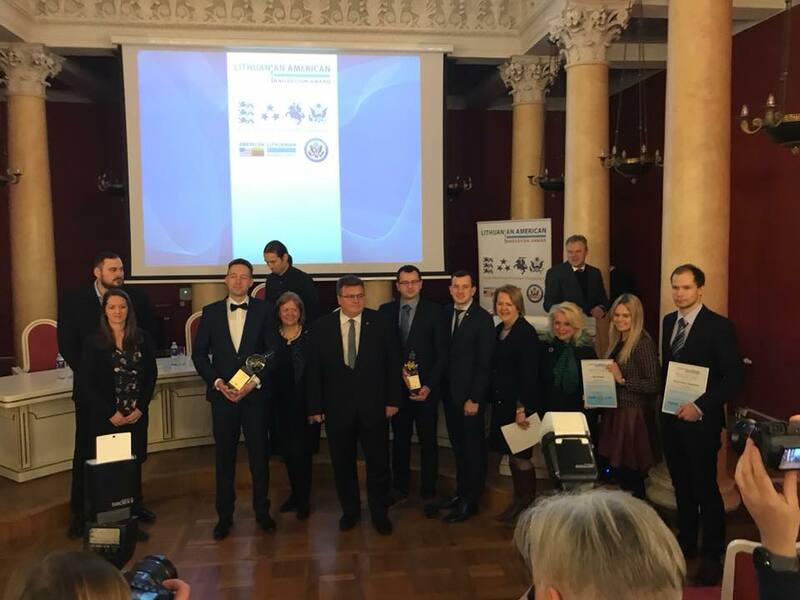 Strategic Staffing Solutions CEO Cindy Pasky announced on Wednesday, Feb. 28 the winners of the 2nd annual Lithuanian-American Innovation Award at Vilnius University in Vilnius, Lithuania. Established by the Baltic American Freedom Foundation, the American-Lithuanian Business Council and the U.S. Embassy in Vilnius, the Lithuanian-American Innovation Award was created to be awarded to a Lithuanian individual, organization, university, or firm that has developed an innovation in collaboration with a U.S. partner. At the ceremony co-sponsored by the U.S. Ambassador, American Lithuanian Business Council and funded by the Baltic American Freedom Foundation at Vilnius University, the top two winners were awarded cash grants of 10,000 euros or 5,000 euros. Earning the first place award, UAB Vittamed, which created the world’s first non-invasive gauge of pressure head (intracranial pressure) and in second place, Deeper, the first smartfood sonar fishfinder. For a complete list of finalists, visit amlithbc.org. All Staff is a terrific event where the entire S3 family has a chance to come together and come away with renewed energy and attention to S3’s four pillars and mission. Nashville-based Anthony Bordonaro, one of S3’s Team Charmed newest account managers sat down with us to share his takeaways from our 2018 All Staff meeting, and what it’s like to work at S3. What have you taken away from your first All Staff? What’s the biggest lesson you’ve learned from working at S3? Anthony: The biggest take away from All Staff was that at S3 we don’t say no to anything. with a client that wasn’t in our typical “wheelhouse” and not what we normally do. But, I remembered Cindy’s message from All Staff where she said, “We don’t say no, we find solutions.” Cindy’s message really stuck with me and I went to work to be able to find a solution for the client. The difference is a lot of people and some other companies would just say that’s not something they can do, but with S3, we work based on the clients’ needs. Why did you decide to work for S3? Anthony: I’ve had experiences with larger sized firms and more boutique firms. I felt S3 really kind of fit in that perfect middle ground where we have the resources and the power of a larger firm, but with the ability to be customizable to our customers’ needs like a boutique firm. I just felt it was good fit for my personal style and professional style. What’s it like to work for S3 and what has it done for you personally? Anthony: I’m still new (started with S3 in June 2017). It’s provided me with new opportunities that are the result of learning new things, developing new relationships and growth. I’ve grown a lot from just being able to learn from my fellow team members and different perspectives. I’m in one of the more unique situations because the rest of my team sits all over and it’s just me here in Nashville. Although I physically sit alone, no one from any part of the organization, top to bottom, has ever made me feel like I’m by myself in any way. It’s just great to be a part of team that’s so strong and so committed to supporting each other that even if you physically sit alone, you are never truly alone. How do S3’s four pillars and your values align? Anthony: Pretty closely! Two of them really stand out to me. I don’t think you can be successful and happy in this industry if you don’t want to make other people happy and successful. You must have a passion for changing someone’s station in life. This could be by giving a consultant a new opportunity, creating an environment for more work-life balance or even with our customers by providing the resources they need to make their lives much easier. We really do have the ability to affect a lot of change, whether we see it or we don’t. My background in charitable work directly aligns with S3’s commitment to the community and how active we are. That is something I am extremely proud to be a part of. Fulfilling S3’s four pillars goes beyond serving external customers. For more than 25 years, S3 has played a major role in changing the lives of its team members by providing opportunities that have led to success beyond what many believed was possible. David Stevenson, an account manager with S3’s Team Charmed sat down with us to tell us just how S3 has changed his station in life and the importance of being green. How did you learn about S3? David: I started recruiting at 19 years old when I was at Walt Disney World on an internship at the casting center. I got a call one day from Marvin (Daugherty) who began telling me about this company that was green and really did things differently. But at that time I had made a vow that I would never go back into recruiting. I had had enough. I had seen enough and I was very disenchanted. But, the more I learned about S3, the more I was intrigued. I remember Cindy interviewing me while she was in Scotland. A CEO calling you from Scotland? That shocked me. Halfway through the interview she says, “David, somebody needs to give you a chance to change your station in life.” I was all in from that point. What has working for S3 done for you personally? David: Yesterday (Monday, Feb. 12), I put in an offer on a home. Just 3, 4 or 5 years ago, I never would have dreamed of this possibility. I can help people in need now. My mother-in-law passed away this year and my father-in-law has struggled financially but we’ve been able to help support him. We just rented a hotel room for a woman who didn’t have a place to stay. We are so blessed because of S3 we are honored to do this. Before all of this, I could barely afford food or a roof over my head. I was struggling terribly. I was steps away from being homeless myself. To say S3 changed my life is probably the biggest understatement ever. It changed everything. I’m so appreciative and so thankful that someone had faith in me. A lot of that has been done for me since I’ve been with S3. When I first started, my lead recruiter at the time, David Flores, pulled me aside and told me I was going to be successful because he was in my corner. We all need that. We all need someone that’s going to believe in you. If we truly want to be the best and continue to grow, that’s what it takes. David: My values and S3’s values are pretty much one and the same. I believe in those four pillars in everything I do. I was raised that way. The fact that we care about people and we go that extra mile for our consultants, I’m truly passionate about that. We genuinely care about our customers. The reality is that when you don’t take care of your customer, there are repercussions that can reach very far down the food chain. It goes beyond just us. People can get hurt if things aren’t done right. I’m green at heart because of the values that we convey within the community, with our customers and with our consultants. The way we treat our consultants is just as important as we treat our customers. It’s how we separate and distinguish ourselves. (c) 2013 Strategic Staffing Solutions | People Powered. Customer Centered. Community Champions.